The majority of Subaru vehicles are constructed for four-wheel drive usage. This complicates the compatibility of a transmission. Locating the right type for replacement can be one struggle for a buyer. A source to purchase Subaru transmissions is offered here. The inventory that is featured here is factory direct. The replacement units that are in stock are part of the JDM inventory of parts available for resale. There are many builds of Subaru gearboxes. Making sure you order the right one is easy here. Subaru designs its gearboxes to be either manual, automatic or continuously variable. The manual units are equally as popular as other builds in the company lineup. The use of CVT transmissions is now more common in late model Subaru motor vehicles. The automatic builds that are available have been one of the most used options since the 1970s. Before choosing a replacement gearbox, making sure that one is compatible with a Subaru engine is important. The Boxer motor is common although different builds are now constructed. Most of the 1.8, 2.5, 2.0 and 3.0 series engines use either manual or automatic gearboxes. The Forester, Impreza, Legacy, Outback or Baja built by Subaru are meant to have a long life span. One thing that happens to some vehicle owners is the warranty runs out and parts must be purchased out of pocket. Not having the cash to buy a transmission is a real problem with some buyers. The Preowned Transmissions company creates affordable replacement solutions. All used Subaru gearboxes that are promoted on this resource are fixed with a two-year service plan for warranties. This ensures that a total of 24 months are offered as OEM parts protection. Some of the types of transmission codes that are found in the inventory marketed here includes M41A, ECVT, 5EAT, 4EAT and R4. This means that both front and rear axle transmission assemblies can be purchased here online. The compatibility with STI and turbo Subaru engines is not an issue. All replacement transmissions that are distributed from this resource provide the immediate long-term value that parts buyers expect. It is important to note that the inventory in stock is not rebuilt or remanufactured. These are authentic builds that are removed direct from Subaru vehicles in the U.S. Requesting a quote is the fastest way to completing a sale here. 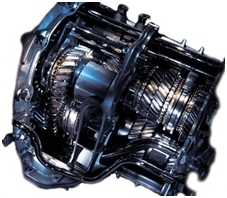 A talented staff of specialists in the transmissions industry are supplied here. What matters to most buyers is the price and the speed of delivery. These are two areas where this company excels compared to other dealers. The quotes system that is featured on this resource makes buying easy. Inputting the make and year of each vehicle will ready the price quote for display. A quick call to the customer service staff featured here ensures that a transmission order is processed professionally. Make a decision to stop paying retail and start buying wholesale.